I hope everyone enjoyed the ALL- STAR Break. I had Kyle Schwarber of the Cubs winning the HR Derby but had to settle for 2nd place. My AL Team won the real Home Run Derby, after quite a few innings of batting practice. The futures game was fun as always, especially for you Dynasty guys who get to watch your players play. The big news next week though is the approaching non-waiver trade deadline. Now that the big fish got caught by the Dodgers a flurry of trades should come. I just lost one of my closers to the Familia deal where the Mets sent him to a team that already has a closer. Hopefully you all snagged Gsellman, I only got him on one team. We’ll see how the trades affect starting pitching as well. As for last week’s slate of 3 days worth of games, there were no pitchers worth writing about, nor was there a clear schedule for the past three days at the time of writing so there was no Pick Your Spots last week. The week before that I wrote about 12 pitchers. It was a mixed bag with some of my From the Abyss choices (under 10% owned in ESPN) ending up on the DL after shortened outings and/or getting blown out. Looking at you Liriano. But if anyone else grabbed Danny Duffy last week you were greatly rewarded by 13 innings of shut out ball with 17 strikeouts, one leading to a W. His ownership jumped from 25% to 46%, so maybe take one last look to see if he is still out there. Hopefully you also grabbed some Twins SP, especially Kyle Gibson who’s ownership rose from 33% to 48% after pitching one run ball for 8 innings against the Rays with 9 K’s and no walks. You have to like Anibal Sanchez tossing Quality Starts (QS) again. Some guys I’ve written about recently are either over 50% owned now or close enough so that you don’t need me to tell you they have good starts this week. But they do, and it may be worth looking to see if someone in your league dropped them and they are still out there. Chase Anderson of Milwaukee (58.6% owned in ESPN), Jhoulys Chacin, MIL (50.4%), CC Sabathia, NYY (46%) and even Sonny Gray, NYY (45%) might be worth a pick up for his start against the Royals. If I’m in your league, I probably drafted him, and last week or so I surely dropped him too in time for what looks like a primo match-up. Lately, Yankee fans would rather see him in the stands with his wife than on the mound. He pitched well enough yesterday though. Remember, don’t ever let emotion enter the equation, even if Sonny Gray is dead to me. Finally, Jacob Junis (12.3%) is off the DL and ready to go. I think he is a grab and stash as I never trust first starts after DL stays, plus he gets the Yankees next week. But if you wait till all that happens he’ll be gone. So, lets see what players we found for good match ups next week who should still be available in most leagues. Please be warned! There are still a lot of TBD starts listed on the schedule for this coming week, as many as three on some teams. You’ll want to keep an eye on it as some gem match-ups could fill in those blanks. I’ll list as many updates as I can find and post them on the Reddit r/fantasybaseball sub reddit on my post on Sunday. Good Luck. Danny Duffy, LHSP, KCR (45.7% owned in ESPN) Vs DET WEDS: Yup. We nailed this one. Duffy pitched 13 innings of shut out ball with 17 strikeouts, one leading to a W, against Minnesota and the Chisox. Then yesterday (Saturday) he wiped out the Twins again giving up one run with 4 K’s in 7.1 IP for another W. Six of his last eight starts have been QS and he has wins in four of them. He has not gone less than 6 innings pitched since June 4th. So, last week I said the walks are a bit high, and with eight in his last three starts that is still true. But, his 21/8 K/BB over that time more than makes up for it. Detroit has a .299 wOBA and .248 BA against lefties on the road in 2018. This is another must-start fantasy match up for the talented lefty. Too bad he is still on the Royals as he clearly likes to surround himself with trophies. Kyle Gibson, RHSP, MIN (33 % Owned in ESPN) Vs TBR THU: Gibson is not an ace by any stretch and certainly not the ace of the under-performing Twins. But he is enjoying a career year, sporting the highest strikeout rate of his career by a whole two K’s per 9, and the lowest ERA of his career as well. On May 18, 2018, Gibby gave up five runs to the Brewers. Since then he has given up more than three only once. In those nine starts he has seven QS. On the season, he has a 3.59 ERA, 1.27 WHIP and a 105/46 K/BB in 107.2 innings pitched. The Rays are a Must-Start matchup for Gibson and any other Twins pitcher facing him next week, as you will see below. The Rays are hitting to a woeful .295 wOBA with a .239 BA against righties on the road. Wade LeBlanc, LHSP, SEA (31.3% owned in ESPN) @ LAA, FRI: Don’t look now but Leblanc is 6-1 with a 3.44 ERA and 1.13 WHIP. No, the 33 year old is not suddenly an ace, and in fact has had some clunkers recently. But he’s also been going up against the toughest offenses in baseball lately in the Red Sox and Rockies four times in his last six starts two of which landed LeBlanc a W. He has 3 W’s in his last four starts, including his most recent start against the Chisox where he gave up 1 run on 4 hits and a walk in 7.1 innings with 10 strikeouts for a W. I suppose we can now say that the 33 year old journeyman is in the midst of a career year as a member of the rotation on a pennant contending team. The Angels are hitting to a woeful .284 wOBA and worse .209 BA against lefties at home. This is a must-start fantasy match up right here. Matt Harvey, RHSP, CIN (31% Owned in ESPN) Vs PHI, FRI: Harvey has given up two runs or less and two walks or less in each of his last five starts. He is not the Dark Knight of Mets’ lore, but would you rather spot start him or some minor leaguer called up because he happened to be scheduled to start that day. Harvey may not have another Cy Young in his arm or even double digit strikeouts, but he has a good match-up this week against the Phills. The Phills are hitting to a wOBA of .313 with a .240 BA against righties on the road. If you need K’s, the Phills are striking out against righties at a 26.3% rate. Harvey is back up in the upper 90’s so the K’s should be there. ***Two Start Pitcher***Andrew Suarez, LHSP SFG (24.8% owned in ESPN) @ SEA TUE & Vs MIL SUN: SUN: Suarez has jumped from 6% owned in ESPN at the time of my last article all the way to 25% owned less than two weeks later, and deservedly so. I’m not saying he needs to be universally owned, as he does not pitch deep into games nor rack up a lot of K’s, but if you are in ratio protection mode, and who isn’t, then Suarez is a perfect spot starter and borderline ownable. Last week he pitched a great game against the Cubs but then got manhandled a bit by the surging A’s. Suarez went seven innings in Colorado giving up only one run and inducing 10 ground ball outs among his efficient 89 pitches. He has not given up more than two runs in his past 5 starts and has accumulated 78 K’s in 72 IP so far in 2018. He now has a 3.92 ERA and 1.23 WIP on the season. I don’t see how the Giants remove him from the rotation. Seattle is playing to a .303 wOBA and .248 BA at home vs lefties which is 22nd in the MLB. They also sport a 24% K rate vs lefties, which combined with Suarez near 9 K/9 should net you a half a dozen or so from that game. Milwaukee is playing to an even worse wOBA of .297 with a low .236 BA against lefties on the road. As much power as the Suds have in their lineup, their ISO against lefties on the road is only .147. I think these are both must start fantasy starts for next week. We know how he stays in shape now trying to keep up with his girlfriend Ava, an NCAA soccer player. ***Two Start Pitcher***Zack Wheeler, RHSP, NYM (18.7% owned in ESPN) Vs SD MON & @ PIT SAT: I own Wheeler now on a lot of teams. He is striking out a batter per inning (106/40 K/BB in 107.1 IP in 2018) though his 4.44 ERA and 1.34 WHIP would play better in the AL than the NL. Over the pasrt 30 days, however, he has a 3.58 ERA and 1.22 WHIP with a 34/12 K/BB in 32.2 IP. He picked up a rare Mets W in his last start, giving up four runs to a hot Nationals team, but going 7.2 IP with 7 K’s to earn the W. The Padres are dead last in the MLB in wOBA vs righties on the road at .279 with a .234 BA. Making this even more of a must start in fantasy are the 26.8% K rate vs righties and the absolutely pitiful .115 ISO they are sporting vs righties on the road. The Pirates are hitting a lot better than the Padres, and seldom strike out, but the .318 wOBA and .260 BA against righties at home are not enough to stop me from starting him at the end of the week as well. ***Two Start MUST START Pitcher***Carlos Rodon, LHSP, CHW (15.8% owned in ESPN) @ LAA TUE & Vs TOR SUN: If you are in one of the 85% of leagues where Carlos Rodon is still a free agent, then stop reading this article and figure out how to add him to your roster for next week. You, like me, may not want to drop him after this coming week either. In his last four starts, Rodon has three QS, two of them netting him a W. He did have one clunker vs the Rangers where he gave up five runs in five IP, but in the other three he gave up a total of 4 runs with 16 K’s vs 10 walks against the Cards, Astros and an eight inning gem against the A’s. First he gets the LA Angels in LA, where they have a .284 wOBA and .209 BA against lefties at home. They also have a middling ISO of .157 against lefties making this a fantasy must start. Then he gets the Blue Jays in Chicago. The Jays are hitting to a .299 wOBA and .229 Batting average against lefties on the road making next week a two-start must-start week for Rodon in fantasy. Yeah, I already picked him up where I could, hopefully you can too. James Shields, RHSP, CHW (7.4% owned in ESPN) @ LAA WED: Big Game James has not had a lot of big games to pitch in the past few seasons. He’s also had to learn to be more of a pitcher, much as CC Sabathia has and King Felix is trying to master now. Shields, like CC, seems to have found a bit of a groove as a corner painter instead of a flame thrower. Sure, he is still prone to the occasional blow out, but for the most part Shields has learned to minimize any damage and not let the game get away. He has a Quality Start in four of his last five starts and six of his last eight. He also has a 40/17 K/BB in his last 50.2 innings pitched. The Angels have a .315 wOBA and .241 BA against righties at home in 2018. I think James is ready for another QS. strain and it is not known yet if he will be ready to make the Minnesota start. If you have the luxury of waiting until Monday to find out before you pick him up it might be a good idea. On Monday he is home against Minnesota where the Twins have a .295 wOBA and .227 BA against righties on the road. Then he goes to Chicago to face the White Sox who are hitting to a .316 wOBA and .256 BA against righties at home. But, they also have a 25.3 K rate which is 3rd in the MLB against righties. Estrada may have fallen on hard times this season, but he is another veteran who knows how to pitch. When the going gets tough, I trust the veteran. Marco’s wife Janae seems happy with his performance lately. Don’t mess up that glute Marco. Matt Boyd, LHSP, DET (6.8% owned in ESPN) @ KCR WED: I’m not going to tell you that Matt Boyd is a really good pitcher. He probably never will be, but in his last start he only gave up one run on three hits to a red hot Red Sox team. He still got the loss because the Tigers could not figure out David Price and he did not get a QS as he only went five innings. But I love to pick on the Royals. Who doesn’t? The Royals are 23rd in the MLB in wOBA against lefties at home with a .302 wOBA and .255 BA against. But the clincher for me here is the .116 ISO against lefties and the 25.6% K rate vs lefties as well. There should not be a lot of balls leaving the yard, but perhaps, a lot of swings and misses. I think you could do a hell of a lot worse than Matt Boyd next week if you need a decent start. ***Two Start Pitcher***Jason Vargas, LHSP, NYM (.4% owned in ESPN Leagues) Vs SD TUE & @ PIT SUN: Owned in less than 1% of fantasy leagues, Vargas is a low ceiling but also high floor choice to fill in the back end of your spots for next week. He’s more likely to give you 5 decent innings than he is to implode and get blown out. He is a veteran who knows how to pitch and looks healthy right now. This is the first time all season that the Mets made it through a full turn of their Post Matt Harvey rotation all season. Of course Syndergaard’s potential injury may render that moot depending on his status for his next start. The Padres game is a fantasy must-start as the Fathers are 26th in the MLB in wOBA vs lefties on the road at .278 with a .219 BA against. They also have a 25% K rate vs lefties, and while Vargas is not known for his K rates he is good for the occasional K party. The Padres .151 ISO vs lefties also gives me confidence in Vargas to post a QS. The Pirates may be a little tougher for Vargas with a .320 wOBA vs lefties at home and a .253 BA, good for 15th place in the MLB. Their .142 ISO is 23rd in baseball against lefties. So as long as Vargas can keep the ducks off the pond, he should not be a risk to hurt you next week, and may shine with his secure spot in the Met’s rotation. Max Fried or Luis Gohara, LHSP, ATL (% owned in ESPN) @ MIA TUE: Originally this was Gohara’s scheduled game to pitch, but in his last start for Gwinnett his velocity was down a hair and he has not gone more than 2 innings in any recent MLB games. Fried was having blister problems that forced him to the DL, but had no issues in his last rehab start. So, Fried is coming off the DL and so far it sounds like the Braves and manager Brian Snitker want to give him this start. I’m going to tell you that I would use either one of them Tuesday vs the Marlins. I don’t know how to tell you to manage this but right now it looks like Fried will get the gig. You might remember what Fried did in his last two starts before the blister issue popped up (no pun), going 11.2 Innings of one run ball with 18 K’s and a W against the Cards and Mets. Both pitchers are lefties and the Marlins are playing to a wOBA at home vs lefties of a miserable .267 with a .215 BA to go with it. Worse yet, check out this number, the Fish have a .096 ISO vs lefties as well, which is 29th in the MLB. Someone will make this start, and if he is a lefty he should be in your lineup that night. Major League Fantasy Baseball Radio Show: Join host Brian Roach, Jr, and Cole Freel live on Sunday July 22nd, 2018 from 8-9:30pm EST for episode #130 of Major League Fantasy Baseball Radio. We are a live broadcast that will take callers at 323-870-4395. Press 1 to speak with the host. We will discuss the latest information in the world of fantasy baseball. 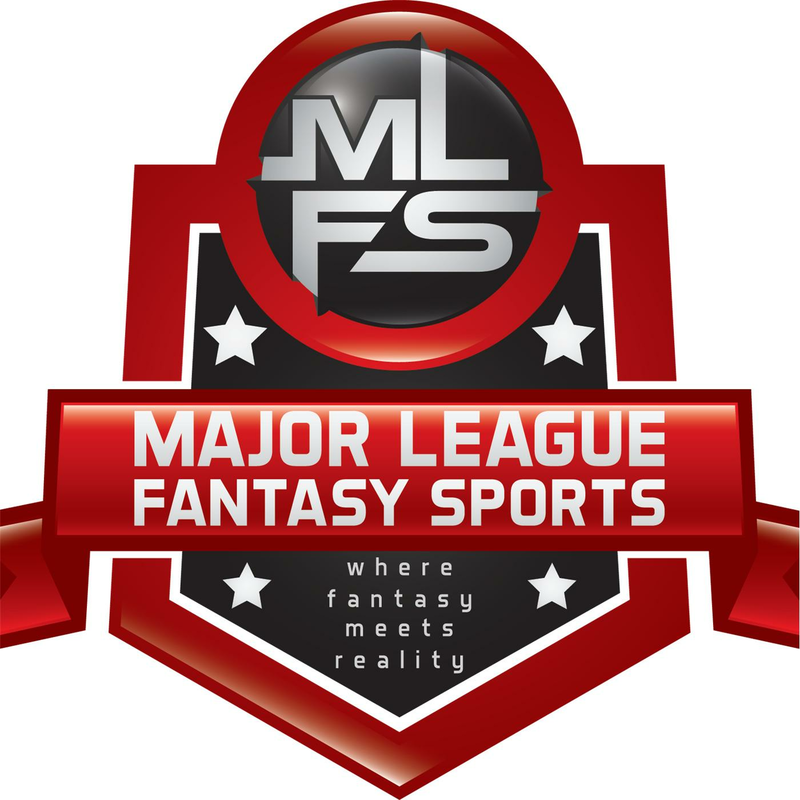 Major League Fantasy Football Radio Show: Join host Corey D Roberts, James Wilk, and Coach Jeff Nelson live July 19th, 2018 from 8-9:30pm EST for episode #85 of Major League Fantasy Football Radio. Call in number is 323-870-4395 press 1 to speak with the host. We will hit free agents, rookies, and fantasy football as a whole for each team for 2018. This week we will discuss everything NFC East! Jeff has been a member of majorleaguefantasyports.com for 10 years, he is also a 3 time Major League Fantasy Football Champion, and was the defensive coach at White Hall H.S. in PA where Saquan Barkley went to H.S. Jeff clued us in on Barkley nearly 4 years ago on one of our football shows.